A month ago I spotted what I thought was a huge brown trout. Today my father and I set out to catch it. 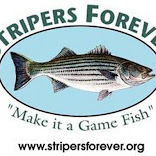 Of course, we expected the fish to be a meat eater, and in today's previous post I wrote about the mice and streamers that I hoped would find the fishes fancy. We got on the water around 4:30, and it was not deserted. There were a few other anglers. The fall stocking had occurred and a caddis hatch lead to plenty of risers. Using dries I caught two smaller browns. One had gotten some line caught in it's gills somehow, and I managed to free him. Hopefully he will now hold over the winter. Then, just as I was about to make the switch to big stuff, my size 14 Sedgehammer disappeared into a dimple. I set the hook. It felt good, but not really that big. Therefore I was quite surprised when it jumped. This was no freshly stocked breeder, certainly not the plain old brown I thought it was. This fish made a sound so hard to describe when it came back down. Imagine a small child doing a cliff dive. The monster then repeated the jump three more times, somersaulting and flopping over. My father and I both were quite surprised and excited. This was as big a salmonid as either of us had ever come into contact with. No, it bigger then that. And it had just eaten a DRY FLY. The fish did a lot of runs. It shook it's head powerfully. In general, it wanted to avoid all contact with us. I am so so utterly thankful it didn't run into the logs on the opposite bank. That would have been game over. As it was, the fight went past sundown. Every time my father tried to tail the fish it did another run. But it's circles were getting tighter and tighter, and finally I got to touch this beautiful beast. It was stupidly big, and stupendously strong. The tail on him was enormous and pristine. The deep red marbling and huge black spots were stunning. I'm just so glad my fly happened to look appetizing to a salmon. On the car ride home we discussed the event and the circumstances. I had clearly gotten lucky. We both thought the fish looked like a salmon. (we thought it was a big trout at the time.) I suspected that I may have to tie my streamers on stronger hooks. We were both very happy. What the hell are the chances of that happening again?!?! That my friend is one awesome fish. You should be very proud. Now it does have some resemblance to an Atlantic salmon. Oh......my........GOODNESS!!!!!! Now that's a fish! How long did it take you to real that guy in? I'd say half an hour. Definitely an atlantic salmon in spawning dress. Congrats!!! Well, that is almost twice as impressive as a brown! Looks like I have to change the title. Well I'm not shocked at all. You spend time on the water and your skills are well honed. Your ties are exceptional. WOW!!! That's the biggest Brown/Salmon I've ever seen. Knowing that it's back and part of the eco system is the reward. Wow!!!! So glad your Dad was with you to get a picture of you holding that beauty. The expression on your face was as big a treat to see. Keep enjoying. It was a something else! Amazing fish - and fishing. Hat's off to you for an amazing display of angling skill to land that fish! Wow! I'm assuming this fish is a stocked land lock in that river, is that correct? 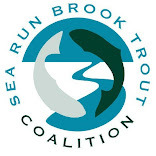 There are two rivers in CT stocked with broodstock Atlantic Salmon (The Naugatuck and Shetucket Rivers), and both are many miles from where I was. What this fishes story is, I don't know, but he is most likely wild. Most likely a fry stocked fish that left the river (as a smolt) in spring of 2012. He probably came back late spring/early summer of this year. It's kind of amazing he survived the low summer water in that river. Great feat of angling prowess! It's not easy keeping a small fly in those gnarly hookbills! Huh, they grow a lot faster than I thought! I'm also surprised he wasn't tagged. Most are. They grow really fast while at sea. Crazy to think he was a 10"-12" (or thereabouts) smolt a little over two years ago. Also, he has not fed in several months, so he probably weighs less now than he did when he first entered the river. You would have really had your hands full when he was bright! They are amazing fish, to say the least. I don't know, he was clearly feeding on nymphs when I first spotted him. Maybe he got stuck on his own and just decided to stay and eat a bit every now and then. I can't imaging the fight he would have given in June. I would have been doing the steelhead run down the Salmon River! Returning salmon have been known to "feed" on insects and hatches when back in fresh water, however, they cannot digest them fully and don't get any nutritional value from them. It's sort of an empty exercise. Their only job is to get upriver and spawn. Besides, a fish that size can't live on insects. They gorge themselves on capelin, sand eels, etc. while at sea....stuff a lot bigger and more nutritious. If they survive the winter, they will resume eating in the spring. Nice catch, wow ! So glad you are a catch and release angler, it's good for the fish and us. Keep fishing brother, it's a way of life. They are the Holy Grail of fresh water fishing. I just got extremely lucky and put a fly past the only salmon in the entire river. I'm sure you'll find your salmon someday. A little late to the party but WOW that's some fish. Congrats! Its my understanding that atlantic salmon when they return will mouth insects but not swallow them (a patterned behavior learned when they were juveniles). I'm guessing your fish was caught in a stream that somehow connects to the Connecticut river. That is one theory, though the fly I was using and the way I was fishing it isn't all that atypical a way to catch a salmon in low, clear water. It took on the swing. I'm fine with saying the name of the river now as that fish has been gone for a couple years and it was published in American Angler already, I caught this fish in the Salmon River, one of the only two rivers left in the state where it is possible to encounter an ocean going salmon. I wouldn't use mice even though they might work, you'd be surprised by how small a streamer they will grab. Fly rod of course, but try swinging featherwings and you will get the real Atlantic salmon experience. The Scarlet and Black Head Articulated Streamer. "Close Encounters of the Right Kind"